Farmingdale State College is mostly a commuter campus which sometimes makes students feel like they should just go to class then go home! However, Farmingdale State College even though a big commuter campus, has tons of unique experiences and locations where you can get to know the campus community. 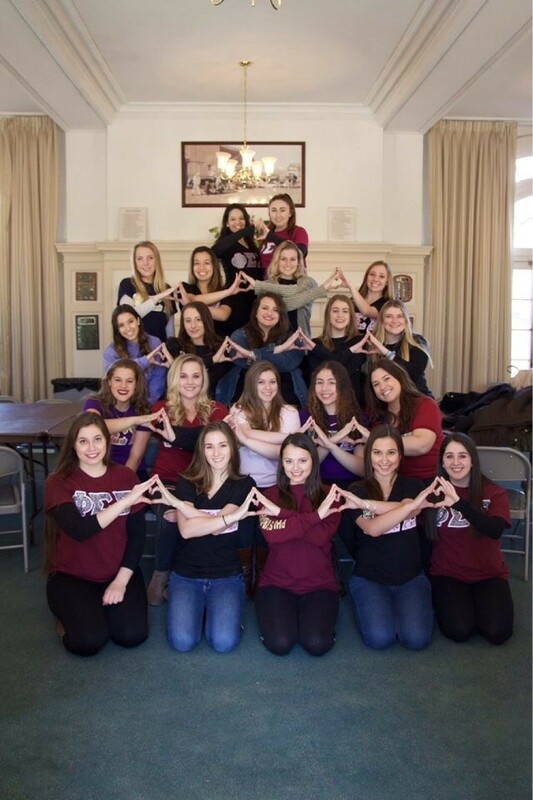 Farmingdale may be a medium-sized school, with an estimate of 9,600 students but, sometimes it can be challenging for students to find places to make friends. 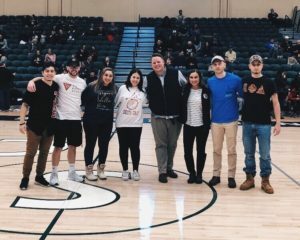 The best way to enhance your Farmingdale experience is by getting involved. 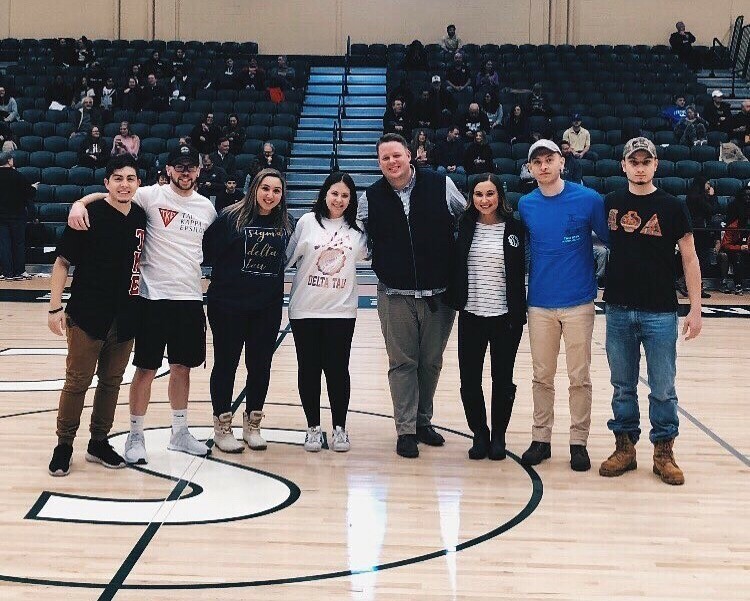 Whether it be one of our 70 different clubs, Fraternities or Sororities, or 18 Men and Women’s DIII Athletic teams, Farmingdale has something to offer you! The Campus Center is one of the main hubs on campus. In this building, you will find the Campus Center Market, POP’s ( Pay One Price) Dining Hall, The Quiet Room, The Meal Plan Office, Starbucks, The Bookstore and The Information Desk. All of these things add to The Campus Center’s unique experience, however, what really makes the Campus Center the perfect place for socializing is the way the tables are set up near the Campus Center Market. All the tables are chairs are set up in one area that kind of makes the building look like a cafeteria. The Campus Center is home to where many people involved in Greek Life, Clubs and sports teams on campus hang out, chill and eat. Conklin Hall is one of the newer building on Farmingdale’s campus and it is the home to the Office of Student Activities, Student Government, and Ram Nation Radio! However, what makes this building one of the top places to socialize is its chic and chill environment. Downstairs in Conklin, there are TV screens, lounge chairs, pool tables and more. Outside of Conklin on the Conklin Patio, you can even find long green lounging chairs for when you want to get a little extra sun during your breaks. Many organizations and clubs also hang out here but it is a great place to just pick up a pool stick and make some friends. 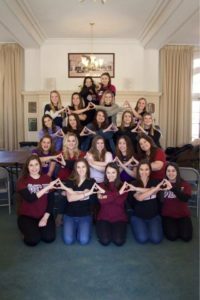 I am a member of Phi Sigma Sigma on campus so from experience this building has always been a fun place to just hang out with some friends! Do not be scared to go up and talk to people! If you are interested in joining a Sorority or Fraternity and see someone wearing letters ask them about the next upcoming recruitment! Greenley Library is located right near Bunche Plaza and it is the home to Academic Advisement (AAIC), Nexus Career Center and many helpful academic offices such as the Writing Center. During the semester the Library is filled with tons of students ready to learn, socialize and study! The Library may seem like an unconventional place to socialize however, I strongly encourage getting to know a few people in your classes and setting up a study session in the Library to really get to know each other. Even though everybody in the Library is intensely analyzing computers I would try to get out of your comfort zone and if you end up sitting next to someone, try talking. Bunch Plaza is where the Farmingdale State College fountain is located. During the warmer weather, you will constantly see students hanging out and joking around near the fountain. It is a great place to enjoy the sun and socialize with other students on campus. Each one of these locations on campus offers unique experiences where you can socialize outside of the classroom to make friends. In the end, it is up to you to make the best out of your Farmingdale experience! So, make sure you talk to students within the classroom or speak up while walking around on campus to other students, who knows you might meet your new Best Friend!